Lynda Johnson – Hypnotist, Life Coach, NLP and Holistic Health Trainer. Finding a trusted Certified & Registered Hypnotist, NLP, or Life Coach in Wellington may not always be easy. It is important that you do your research and you need to ensure that your therapist is able to guide you in your life and have access to a range of tools that will help you. As seen on Good Morning TV, Lynda Johnson comes highly recommended from the Dominion Post and Capital Times. Lynda Johnson is founder and Director of That’s Better. Lynda has over 20 years experience within the field of Holistic Health. She has founded several Holistic Health Centers and as a Director of Transend, assisted with the growth of Green IT solutions. Prior to her involvement in healthcare, she had a successful Sales & Marketing career in IT & Computer Telephony Integration. Working with manufacturers, distributors, IT/Telco resellers and B2B across a range of industry sectors. This experience and insight helps her to understand the pressures of corporate life and improve performance. Now, as a Holistic Health Care Coach and Trainer, she is a speaker and trainer nationally and internationally. 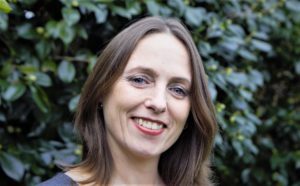 She has a keen interest in learning and has numerous qualifications and experience within Hypnotherapy ,Life coaching, NLP Master and Reiki & Karuna Reiki Master and Holistic Health Trainer. 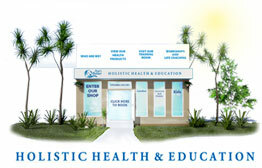 My focus is integrating the healing of mind, body and soul therefore my sessions and classes offer an integrative holistic approach imparting a wealth of knowledge and techniques from numerous fields. I believe it is important to empower you and teach you the skills that you can practice confidently when you go home, that will help create the change you desire in your life and serve you for the rest of you life. Karuna ® Reiki Master, UK. As a result of this combination of training, Lynda has had remarkable results from her clients. Do check “Why people like us section” for more testimonials. Lynda became a mother to a gorgeous baby boy in 2010 and has enjoyed being a student and teacher with him. “I love my family, I have a lovely son, step daughter and loving partner. I’m so happy I can be doing something I love and continue to give back to the community and teach my courses and have the flexibility to spend time with my family too. I can’t really call what I do as “work” as I enjoy it so much.